5 November 2015, at 6:00a.m. Research undertaken at the Federal University of Grande Dourados and the Federal University of Santa Maria, Brazil, aimed to evaluate the development of the reproductive system of Japanese quail exposed to artificial lighting with LED of different colours. Some 240 Japanese quail at 42 days of age were used in the trial. 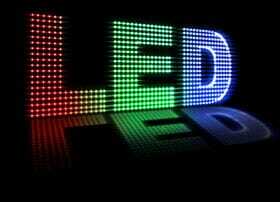 The treatments were: T1- green LED lamps, T2- red LED lamps, T3- fluorescent lamps and T4 - blue LED lamps. The animals were distributed in a completely randomised design with six replicates of 10 birds each. The characteristics of feed intake (FI), and egg production (%) were evaluated. Evaluations were also conducted of the reproductive system: weight of ovary and oviduct (g). For the determination of feed intake, the experimental diets were weighed on the first and last day of each cycle, and the difference determined the feed intake of the study period. The eggs were collected and counted once a day, until the end of the egg production cycle. For evaluations of the reproductive system, 16 birds were caught randomly. Later, they were slaughtered and measurements were made of the reproductive system: weight of ovary and oviduct weight. No significant differences (P>0.05) were found for feed intake (FI) and egg production (%). For evaluations of the reproductive system: weight of ovary and oviduct (g), there was no interaction between the different LED colours and the evaluation periods (P>0.05). There was no significant effect (P>0.05) for different colors of LEDs on the relative weight of the oviduct and ovary. However, the data showed an effect (P<0.05) from different time periods (7 and 14 days) for relative weight of the oviduct, where at seven days the relative weight was superior to that at 14 days (P<0.05). This fact is possibly related to the weight gain of the animals with advancing age. 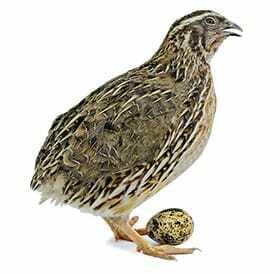 LED lamps of different colours did not affect performance and reproductive development of Japanese quail.